Tint Pros has did an amazing job on my Ford Raptor. They knew what they were doing when they polished it and put Ceramic Pro on top of the whole truck and even on the clear bra (which they threw in a few free areas). I posted this review a year later. My truck still looks like the day they did it. They are the best in town. Look no further. My Viper is the 3rd car I have trusted to these guys. They are the best and never let me down. They applied a clear bra on the front end and put ceramic coat on for me. I love it. Dan W.
I had my Gallardo tinted by Tint Pros. I see where they got their name. Amazing job. Keep up the good work Judit and Zafer. Thank you again. 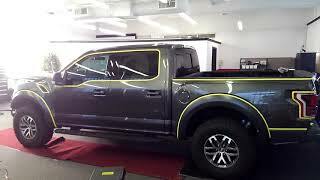 Tom Z.
Tint Pros has over 20 years experience installing and servicing window film and paint protection film. Let us evaluate your energy cost savings and window film options.